The Chichester Singers, with the Southern Pro Musica orchestra, served up a mixed programme of music in Chichester Cathedral, with compositions by three composers from three centuries. They got off to a wonderful start with Handel’s Zadok the Priest, with its exciting orchestral build-up and a cracking entry by the chorus. The choir were extremely well disciplined, singing entirely from memory, watching the conductor Jonathan Willcocks, who directed the chorus and orchestra so as to achieve a powerful and well balanced delivery. Set against the ancient walls of the Cathedral, with instruments producing an 18th century sound, it was as good a performance as one could wish for. The choir and orchestra also performed a second Coronation Anthem by Handel, The King Shall Rejoice, a longer and more complex work with several contrasting movements. The chorus sang strongly and accurately, the sopranos particularly having developed a pleasant fresh sound, and the orchestra continued to give the work the atmosphere of Handel’s time. The concert included two arias from operas by Handel. Stephanie Wake-Edwards sang Cornelia’s Lament from Giulio Cesari. Stephanie has an impressive mezzo-soprano voice and used it to convey the sorrow of a lady who has seen her husband beheaded and her son taken from her and has no one to comfort her. Hugo Herman-Wilson had a more cheerful piece from Berenice and sang in a pleasant conversational style with a strong and flexible baritone voice. These 18th century works were followed by Hubert Parry’s extended anthem Hear My Words, Ye People, which had a contrasting Victorian sound. It was originally written with organ accompaniment, but for this performance the Singers’ organist, Richard Barnes, had written an accompaniment that included orchestral players as well as the organ. This worked well, and the chorus, organist and orchestra performed the unfamiliar work with accuracy and enthusiasm. The baritone had a solo piece in the middle of the work, which again he sang strongly and directly to the audience. In the last movement the music finally became familiar, as the movement has become one of Parry’s favourite hymns. 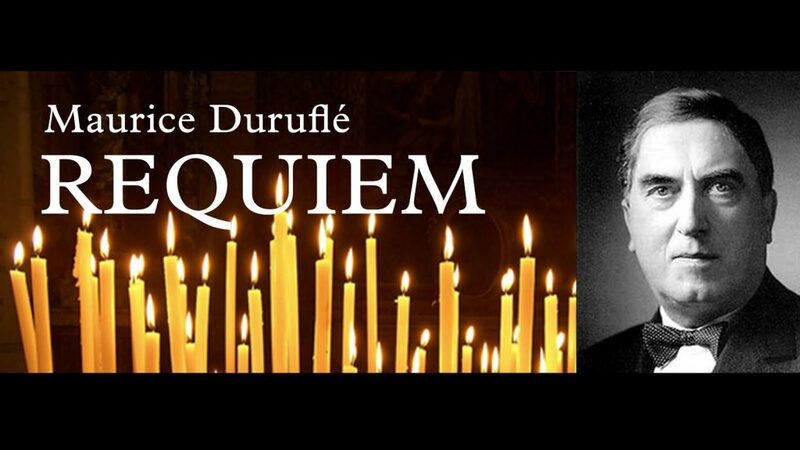 The final work in the concert was a major 20th century choral mass, Duruflé’s Requiem, which also was accompanied by both orchestra and organ. It is a powerful work, the orchestra plays a major part, and the chorus were singing forte for most of the performance without losing their quality. It was nice to hear the mezzo-soprano again, with a solo part where she could sing out; her lovely voice soared into the space of the Cathedral. The baritone also sang an enjoyable solo, but the performance will be mostly remembered for the powerful playing of the orchestra, organ and above all the chorus, skilfully directed by their conductor Jonathan Willcocks.